Pebblehill Art Studio, located near Victoria on Vancouver Island celebrates the beauty of nature & wildlife with silk painting, textile art and 3-dimensional embroideries. 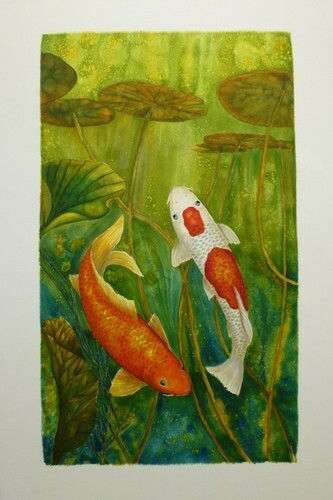 Moe has recently expanded her techniques to include a stronger focus on silk painting with exciting new â��art to wearâ��, dÃ©cor art for the home or office, functional pieces, cards & prints available for sale at her studio. 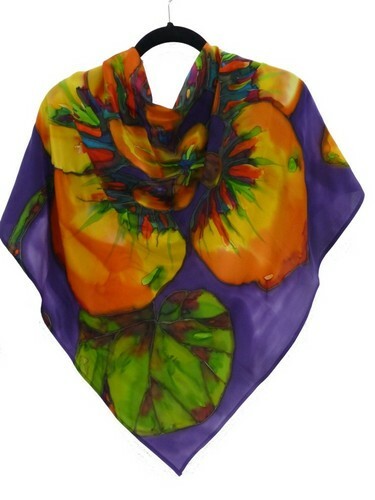 Working towards her Masters in Silk Painting, as a member of SPIN â�� the Silk Painters International Association, her wearable silk art was featured at their 2012 Santa Fe Fashion Show. She has also recently transformed her studio/gallery to a teaching/working studio to offer silk painting classes to individuals/small groups â�� no art experience necessary. 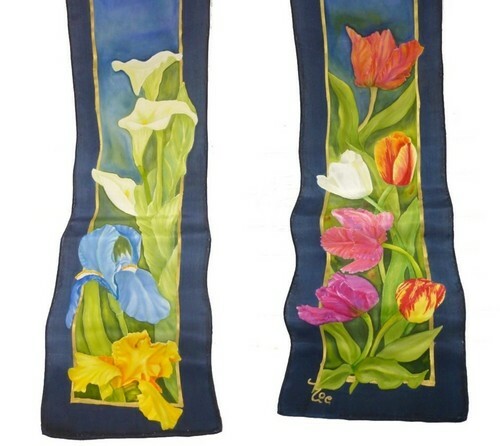 Watch for the exciting launch of her new silk painting website. In the meantime, call or email for more information on classes and studio visits welcome all year round!